Raine Turner is a mother, a woman and a survivor. 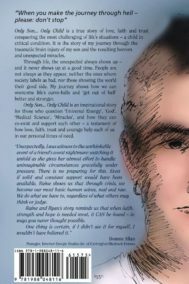 A mother to one son, she almost lost him to a life of crime and a traumatic accident. A woman in turmoil, struggling with troubled relationships. And a survivor, though not always of her own choosing. 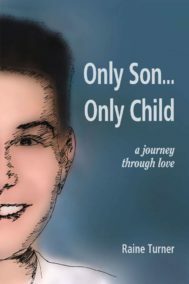 Only Son... Only Child is Raine’s first book, telling her own story of living through hell and miracles as her son Ryan struggled to survive a traumatic brain injury.